Of all the clinical interventions that I might use, I find mindfulness to be one of the most effective for clients. Using Mindfulness vs. not, is akin to using a navigation system or not. Mindfulness is a constant gentle awareness of where we are and where we are going. It prevents us from getting lost. Even in situations like an overcrowded shopping mall. While Christmas shopping is a buzz-kill for many of us, you can get transcend the manic energy of it all by practicing Mindful Christmas Shopping. 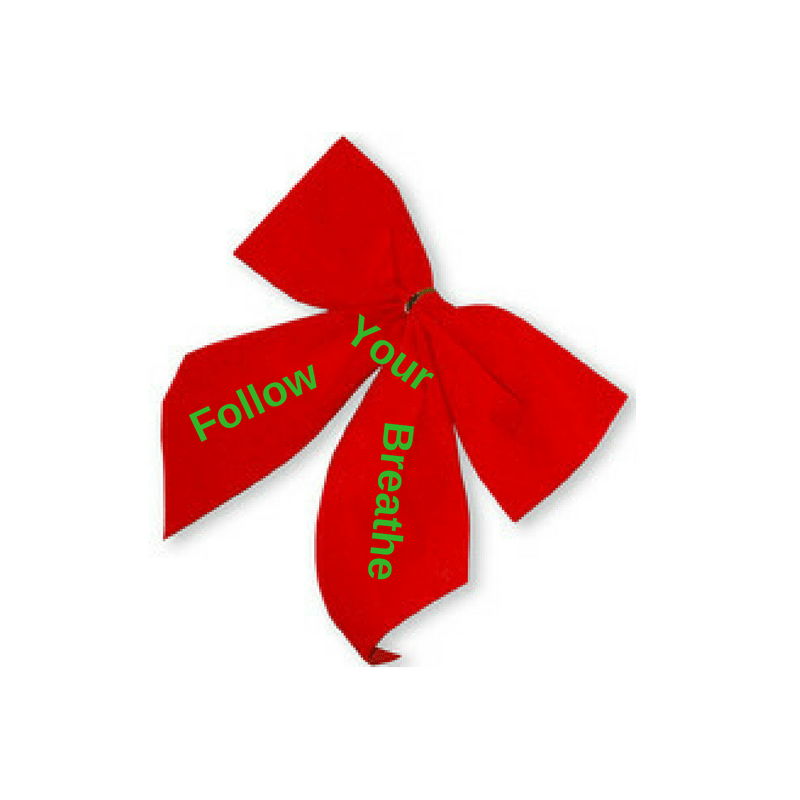 These tips are useful to strengthen a mindfulness practice during the holidays. The key to cultivating mindfulness is simply practice, practice, and more practice. When a person is learning mindfulness, they will often slip in and out of awareness frequently, especially in the beginning. The more they practice they longer they will stay in a state of mindfulness, and the deeper their practice will become. It is that simple. Practice mindfulness during daily activities such as eating, walking, or driving. Be present. The most valuable energy you can give to yourself, relationships, and your work, is your full presence. Multi-tasking does not bring right action or right effort to most situations. It does bring scattered-ness and impatience. Unite your body with your mind. Through mindful breathing to return to the present moment. Several mindfulness apps have been made available which can be quite helpful. My favorite is a mindfulness bell which chimes at specified intervals to remind me to come back to the present moment. Know when you are in a trance. Being unconsciousness or unaware lends itself to acting on urges in a trance-like state. To be fully in the present moment, one is aware of their actions, perceptions, and feelings. Know when the energy of compulsive behaviors rise up. A conscious awareness of the unwanted urges is a critical first step to change. Are you a puppet and your emotions the puppeteer? Identify the emotional levers manipulating the behavior. Compulsive behaviors often point to unpleasant feelings we are trying to deny or minimize. Feelings that could be a precursor to compulsive spending include boredom, anxiety, or sadness. Realize the nature of Impermanence. Mindfulness points to the impermanent nature of all phenomena. For example, our likes become dislikes and our dislikes become likes. Realize the impermanent nature of desire and attachment. The next purchase that we think we have to have in just a matter of time will become the thing you no longer want. Understand your consumption. Consumer spending is as much an expression of consumption as what you had for breakfast. Who or what are you supporting through your next purchase? Understand that our spending habits influence economics, the environment, and human rights. Consider passing on those purchases which have ridiculously wasteful packaging or limit spending with companies who have notoriously working conditions for their employees.